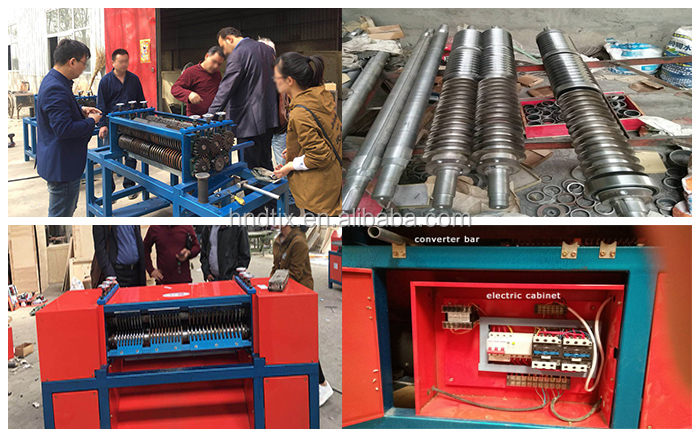 Copper aluminum separator is designed to process various scrap car radiators, refrigerator radiator, air conditioner radiators, etc..It works very easily. You feed in and the machine will cut open the aluminum fin and allow you remove copper pipe. Comparing with manual handling, it can help save a lot of labor and improve productivity. 1. 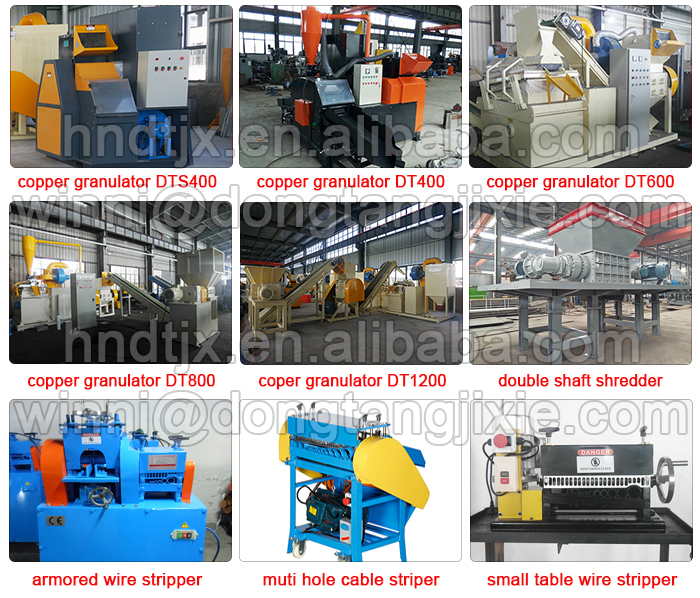 Standard machine can handle copper pipe diameter below 10mm, copper pipe center distance in 25mm, 21mm and 19mm. 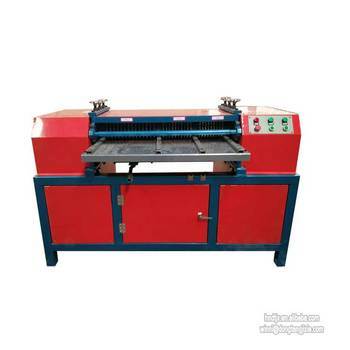 The machine has 3 different feeding mouth to match those specifications. Customized machines are also acceptable. 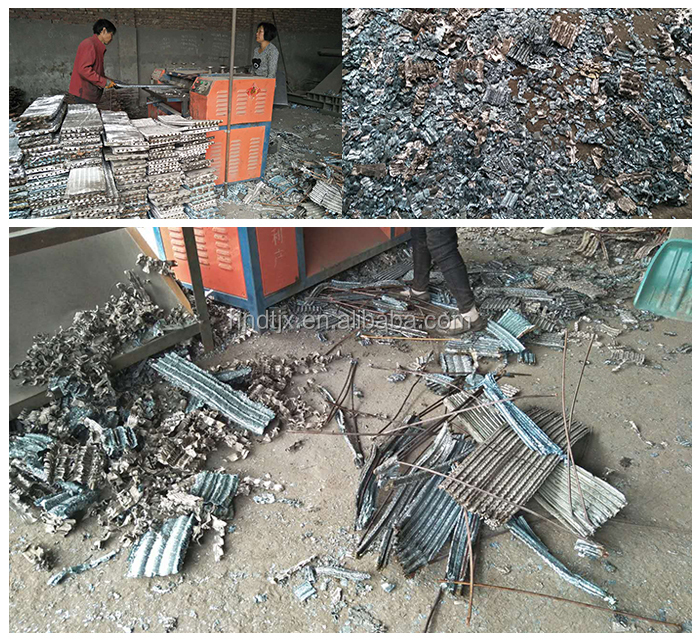 Just show us your raw materials, tell us the copper pipe diameter and the copper pipe center distance. 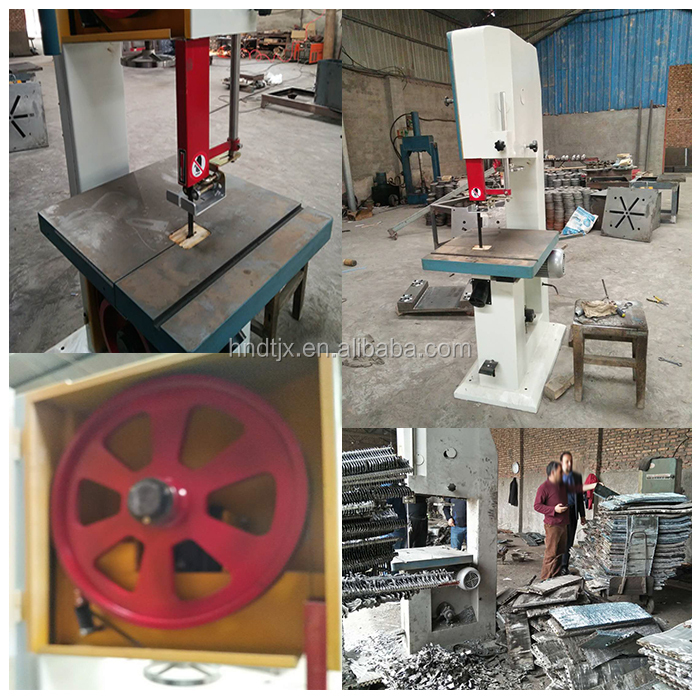 We can make you a suitable machine. 2. 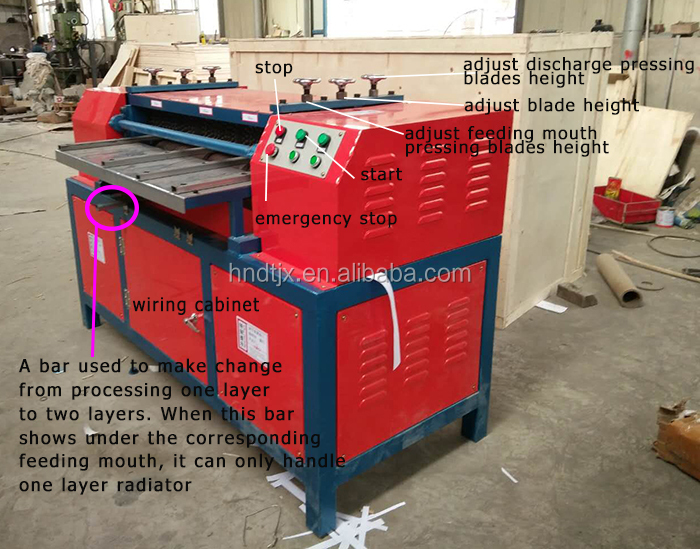 Machine can handle one layer and two layers radiators directly. There is a converting bar that allow you make free exchange.